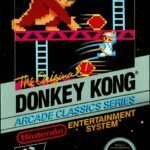 Donkey Kong Country 3: Dixie Kong’s Double Trouble (AKA DK3 or スーパードンキーコング３～謎のクレミス島～, Sūpā Donkī Kongu Surī ~Nazo no Kuremisu Tō~, Super Donkey Kong Three: Mysterious Isle Kremis in Japan) is a 2D adventure platform video game developed by Rare and published by Nintendo for the Super Nintendo Entertainment System (SNES) in 1996. It is the third installment of the Donkey Kong Country series, after Donkey Kong Country 1 and Donkey Kong Country 2. Rare’s Dixie Kong’s Double Trouble! is the concluding chapter in the popular Donkey Kong Country trilogy, put out by Nintendo for the SNES in 1996. The game received mostly positive reviews for its great visuals and various aspects of gameplay. 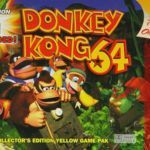 Its new plot revolves around the kidnap of both Donkey Kong and Diddy Kong, leaving Dixie Kong and baby gorilla Kiddy Kong, to save the day. As for gameplay, Donkey Kong Country 3: Dixie Kong’s Double Trouble is a side-scrolling platformer where you get to control two playable Kongs through 8 worlds (total of 48 levels) and where many features from former Donkey Kong games have made a comeback – barrels, animal helpers, DK coins, etc. Team-up attacks are still possible, although the two Kongs each have distinctive abilities like Dixie’s ability to helicopter-spin in midair using her ponytail and Kiddy’s knack for rolling attacks. In general, the level design is more diverse in Donkey Kong Country 3 where there are more obstacles and complex puzzles to solve. Also, every level now has an enemy called “Koin”, which bears the DK coin (holding it as a shield) of the particular level. Probably the biggest improvement, however, is the addition of an overworld map that allows you to explore smaller maps, secret caves, and even an entire secret world. Thirteen helpful Brother Bears also live here in various areas and you can reach them riding a speedboat. As far as graphics, this installment is fantastic and also quite detailed compared to its predecessors that it received a lot of nice feedback from critics. The music and sound effects are not so catchy, though, but are still good. 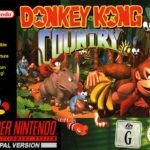 Overall, Donkey Kong Country 3 for the SNES is not a major leap from DKC2 but is still considered an enjoyable platformer that has great visuals and an action-packed adventure. It is still an amusement on its own. Donkey Kong Country 3: Dixie Kong’s Double Trouble has been ported to SNES (this version), Game Boy Advance and Virtual Console.